At the heart of the story engine is a matrix of story points: The Dramatica Chart of Story Elements (which is not unlike the Periodic Table of Elements in chemistry). 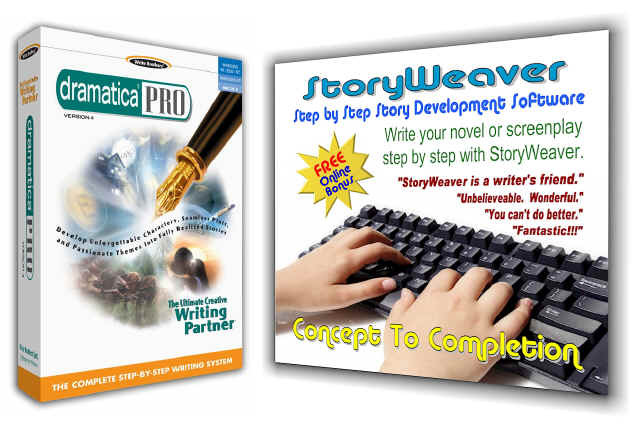 You can use it to create the chemistry of your characters, plot, theme, and genre. The Dramatica chart contains all the psychological processes that must exist in a Story Mind. In fact, every human mind shares all of these processes. What makes one mind different from another is not the kinds of mental activities in each, but rather how the activities are interconnected. Just as in chemistry, various elements might be combined to create an infinite number of compounds, so too the dramatic elements of the Dramatica Chart can be combined to create virtually all valid psychological structures for stories. Essentially, any problem you might confront can be classed as either an external or internal state or process. Universe then is our external environment. Anything that is a problematic fixed situation falls into this category. For example, being stuck in a well, held captive, or missing a leg are all situational “Universe Class” problems. Physics is about activities that cause us difficulty. Honey bees dying off across the country, the growth of a militant organization, and cancer are all “Physics Class” problems. Mind is the internal equivalent of Universe – a fixed internal state. So, a prejudice, bias, fixation, or fixed attitude would be the source of problems in a “Mind Class” story. Psychology is the Physics of the mind – an internal process. A “Psychology Class” problem would be someone who makes a series of assumptions leading to difficulties, or someone whose self-image and confidence are eroding. In stories, as in real life, we cannot solve a problem until we can accurately define it. So, the first value of the Dramatica Chart is to present us with a tool for determining into which of the four fundamental categories of problems our particular issue falls. Now you may think that the terms, Universe, Physics, Mind, and Psychology, are a little antiseptic, perhaps a bit scientific to be applying to something as intuitive as the writing of stories. Back when we were naming the concepts in the Dramatica Theory, we were faced with a choice – to either use extremely accurate words that might be a bit off-putting or to use easily accessible words that weren’t quite on the mark. Ultimately we decided that the whole point of the theory was to provide an accurate way of predicting the necessary components of a sound story structure. Therefore, we elected to use the terms that were more accurate, even if they required a little study, rather than to employ a less accurate terminology that could be grasped right away. Returning to the chart itself, it appears as four towers, each representing one of the four classes and each class having four levels. As we go down the levels from top to bottom we subdivide each kind of problem into smaller and smaller components, thereby refining our understanding of the very particular kind of problem at the core of any given story. The top level, being the most broad, describes the structural aspects of genre. Genre (in the traditional sense) is largely a storytelling or content-driven realm. But genre is not immune to structure. In fact, as we shall see down the line genre must be built upon a solid structural foundation or it will flounder. The second level, slightly more refined, deals with the dramatic components that are most associated with plot, especially at act resolution. That’s an odd term, so let’s define it. An act is the largest building block of plot. Each act has a particular kinds of concern that defines all the action that goes on in that act. For example, one act may deal with looking for a lost object, the next act with trying to obtain it, and the last act with bringing it back against steep odds. “Resolution” is a term we use in Dramatica to describe how big a dramatic component is. The Genre “classes” cover the whole story since each story falls within a particular genre. But the acts change over the course of the story, shifting from one concern in a given act to another in the next. Therefore, we say that the components of the Dramatica Chart in the second or act level, are of a smaller resolution. Just as the genre level components are called “classes,” the act level components are referred to as “types.” So, we have classes of genres and types of acts. The third level has the greatest structural impact on a story’s theme. Each of these components is called a Variation, as in “variations of a theme.” The Variations are of an even smaller resolution, and therefore provide more detailed information about the story’s problem. A story’s thematic conflicts can be mapped in the Variation level. Story-wise, variations are sequence sized. “Sequences” are smaller than acts and are usually comprised of a number of scenes that deal with a particular moral issue or ethical topic. The fourth and lowest level of the chart provides the greatest resolution on a story’s problem. It is comprised of components called Elements (in reference to their indivisible nature) and has the greatest structural impact on characters. It is here in the Element Level that we find the plethora of human traits that make up our motivations or drives. It is the interaction among characters representing these various drives that constitute the scenes of our story. So, we say that the Element Level is at scene resolution. So, like nested dolls, scenes fall within sequences within acts within a genre. In this manner, the structure of a story can be understood not as a simple sequence as one would find in a tale, but rather as a complex mechanism built of wheels within wheels. I’ll provide a full description of the chart and its workings later on, but for now, picture it as a cross between a three dimensional chess set, a Rubik’s Cube, and the Periodic Table of Elements, which can be used to build perfect story structures.